Stobi was the capital of the province of Macedonia secunda. The first phase of construction of the episcopal basilica started in the 4th century. The decorative architecture is of highest quality and resembles the style of the early Byzantine workshops in Prokonnesos/Constantinople. The aim of the study was to investigate the high quality, fine grained marble of the artifacts and to verify to origin of this material. Peackock capital from the episcopal basilica in Stobi. 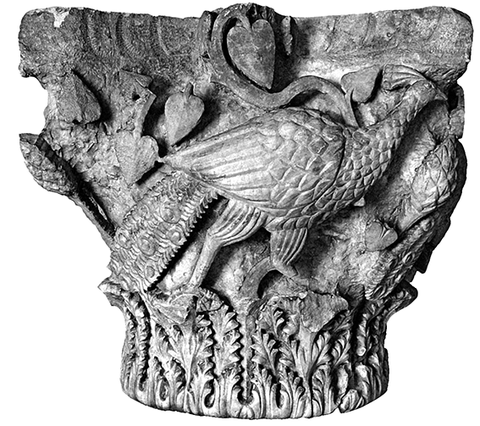 Archaeometric analyses have revealed that the peacock and composite capitals as well as the ambon of the episcopal basilica of Stobi, which today are to be found in the National Museum in Belgrade, are made from finegrained dolomitic marble. A field survey unveiled the occurrence and the ancient use of exactly this type of marble near the town of Prilep. Evidently those deposits were exploited in early Byzantine times and a first-class stone-cutting workshop was in operation there. 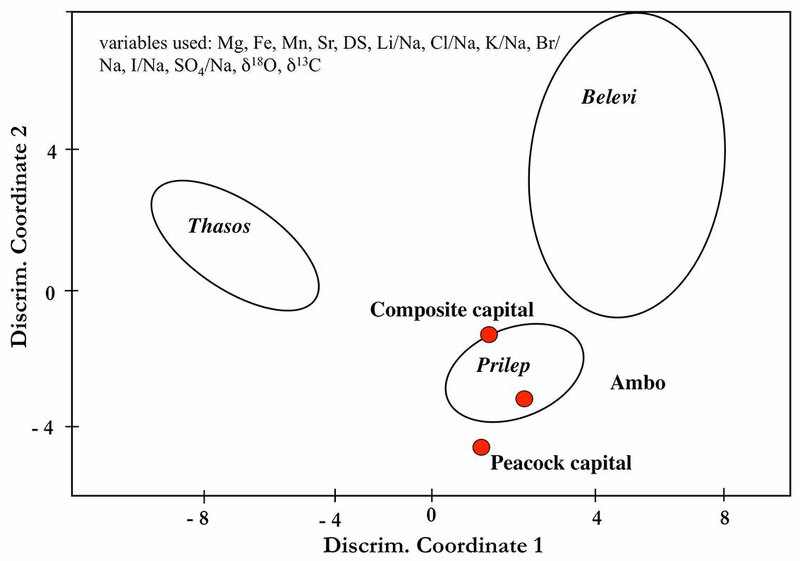 Multivariate diagram of dolomitic marbles proving the origin of the investigated samples from the Prilep quarries. The formal repertoire is the same as that of the leading Byzantine production centres of Prokonnesos/Constantinople and Dokimion. Hence the marble quarries of Prilep served to keep also the remote interior of the Balkan Peninsula supplied with fashionable works of stonemasonry in the metropolitan style. 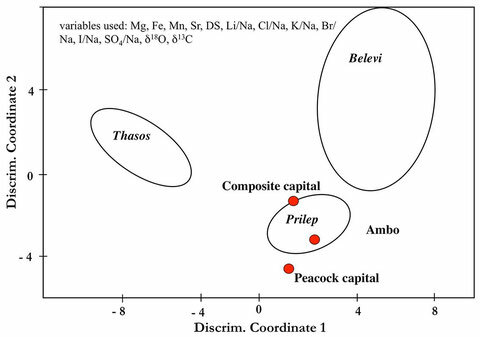 Niewoehner, P., Audley Miller, L., and Prochaska, W., 2013: Marbles, Quarries and Workshops on the Highlands of Northern Macedonia.- Archäologischer Anzeiger 01/2013, 95-145.